Beginning of December 2016, me and my wife visited Tallinn, the capital of Estonia, and if you are searching for a romantic weekend, then you should consider Tallinn. The Estonian capital offers travelers the chance to explore a historic port city that dates back to medieval times. You can see traces of old Europe in its city walls and rustic buildings and experience the medieval times at the city’s unique venues. In Summer 2016, I had chance to sail to Greek Islands with the Celestyal Cruises. In an organization with Karavan Cruises, travelers enjoyed best of Greek islands with Celestyal and received a complete experience at sea, one that comprises comfort, education, entertainment and luxury. Another feature of the cruise is that travelers do not need to have a Schengen visa. ftnNEWS would like to present you a unique vacation idea here in Turkey: Cappadocia Region. Located on the central Anatolia plateau within a volcanic landscape sculpted by erosion to form a succession of mountain ridges, valleys and pinnacles known as “fairy chimneys” or hoodoos, Göreme National Park and the Rock Sites of Cappadocia is a UNESCO World Heritage site. 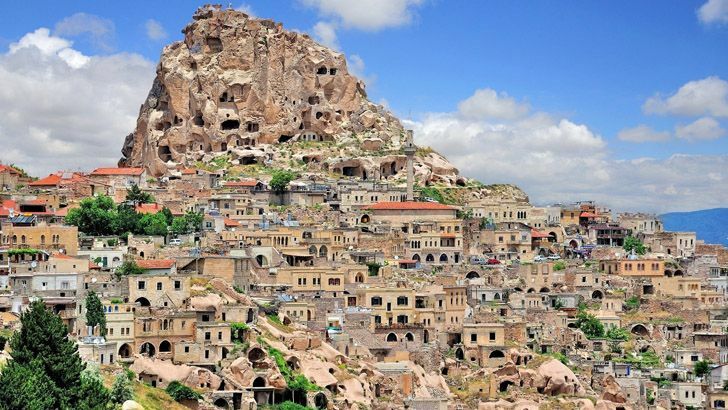 It covers the region between the cities of Nevşehir, Ürgüp and Avanos, the sites of Karain, Karlık, Yeşilöz, Soğanlı and the subterranean cities of Kaymaklı and Derinkuyu. Recently I have visited Tunisia as a familiarization trip organized by the Tunisia Tourism Ministry with the support of Tunis Air. Tunisia is not only a beach holiday destination. It also offers a range of activities and sights for tourists interested in adventure as well as religious tourism. For foodies, Tunisia is a must visit destination. Nepal, where one should visit once in a lifetime!